Chennai, India - Tekton Technologies today is pleased to announce the enhanced release and immediate availability of System Monitor with Battery Max 1.6, their all-in-one comprehensive and artistic, health check meter for iPhone, iPad and iPod touch devices. 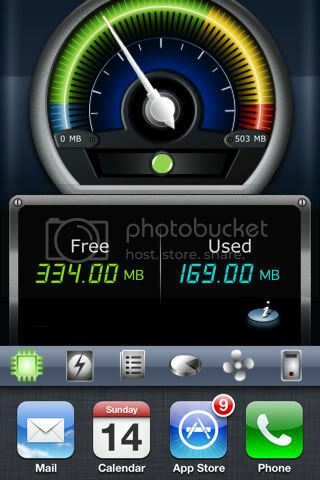 System Monitor with Battery Max is a comprehensive Free Memory and Battery app along with a System Monitor utility, that monitors CPU Load on your device. This app provides a complete health check for iPhone/iPod touch systems and provides valuable details to alert you when the system resources reach the limits. 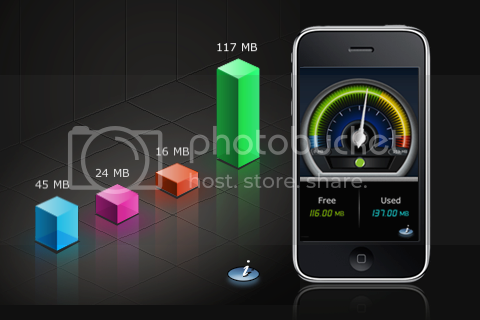 Memory tab - shows you information about used and Free memory and it also Frees your memory when ever it is opened (for all device models), or brought into focus (only in multi-tasking supported devices - iOS4 and more devices). So if your are running in low memory, your apps will crash frequently and you have to restart your phone to solve this. Now with SysMon app, you just open this app and select memory tab, you will see the app frees memory for you. Battery tab - lets you know about the battery level and gives you detailed view about how long you could use your device without recharging based on your battery health. It also allow you to specify your battery health. Process tab - List the current running process, so that you can be aware of any unwanted or not needed app running. Some applications may use Push notifications and locations services which may drain your battery, this list helps you to find the running applications that you don't need, so you could terminate them. Disk Information - provides pie chart that shows the total, used and free disk space. Disk space is the storage memory where your apps, music and other files gets stored, your device may have 8GB / 32GB / 64GB of disk space. CPU Load shows the load on your device's processor - System information lets you know about your device's unique id, MAC address, IP Address, device name and model, OS Version, CPU and Bus Frequency and your device's last boot time i.e. last time when you switched on your device. System Monitor with Battery Max 1.6 is $0.99 USD (or equivalent amount in other currencies) and available worldwide exclusively through the App Store in the Productivity category. Tekton Technologies is a software technology company that focuses on mobile applications development for the consumer as well as enterprise clients. Many successful solutions have been developed by Tekton for the mobile and internet space, like mobile based coupons, mobile food ordering and many more. Copyright (C) 2011 Tekton Technologies (P) Ltd. All Rights Reserved. Apple, the Apple logo, iPhone, iPod and iPad are registered trademarks of Apple Inc. in the U.S. and/or other countries.